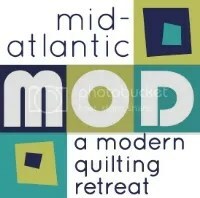 NJMQG is a regional chapter of The Modern Quilt Guild, with members of all experience levels. If you’d like to join us, please follow the directions below. Not sure? Come to a NJMQG meeting and see what we’re all about! Ready to join? Please follow these 2 steps. The application is paperless. Click on the link below to fill out the application form. If you are on social media, please enter your Instagram handle or website/blog (optional). We then need you to check two boxes that pertain to Guild policy, tell us how you will pay for membership, and provide an emergency contact. A link to pay online will be provided on the confirmation page. There is a $2 surcharge for credit card payments. After June 30, new memberships are reduced to $30. A link to pay online is provided on the confirmation page of the application. If you missed the link, click here to pay your dues now. There is a $2 surcharge for credit card payments. You may also bring cash or check (made out to “North Jersey Modern Quilt Guild”) to a guild meeting or mail a check to NJMQG, 41 Watchung Plaza, Montclair, NJ 07042. Do not mail cash. Your NJMQG Membership will be recognized upon completion of both the online Membership Application and receipt of dues. If you do not receive welcome emails from both NJMQG and MQG within a week or so, please contact us at info [at] njmqg.com.